The wardrobe is something which is not meant to show off to the world alone but to make you feel proud as and when you see it. 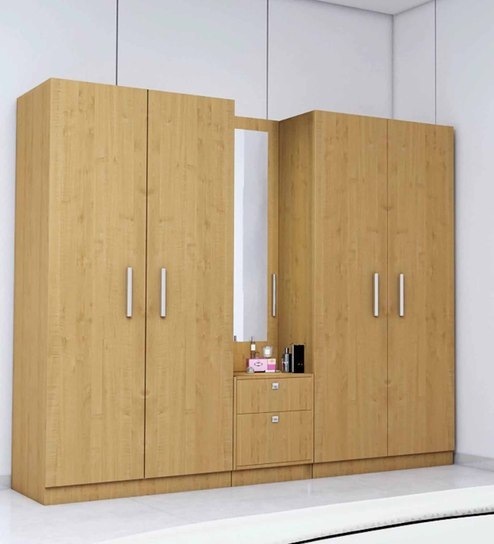 So if you are born with a silver spoon or you are rich enough to afford an expensive piece of furniture for your bedroom, these wardrobes are simply perfect for your bedroom. 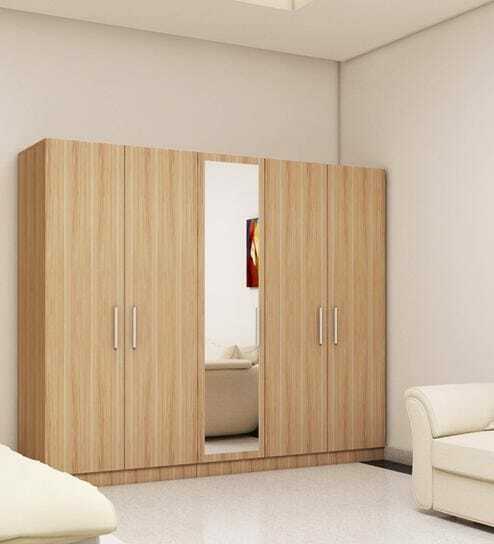 As Wardrobe for bedroom is a mandate, our team would like to present 8 selected wardrobe for bedroom. This Marine ply Wardrobe in maple finish is a classic and elegant wardrobe. 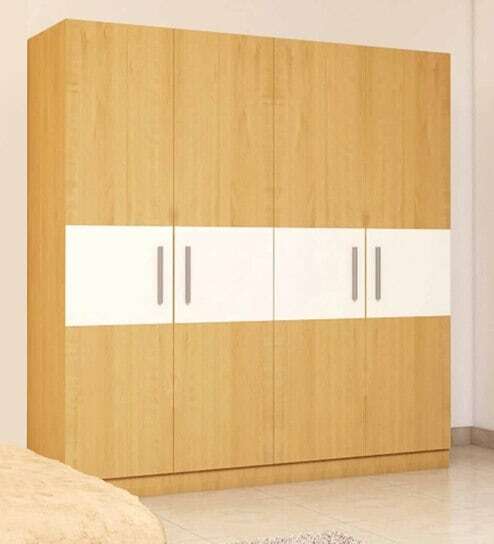 Made with the premium plywood, this beige colour 4 door wardrobe is a treat to your eye. This Swiss elm bleached Wardrobe is a combination of style and quality. 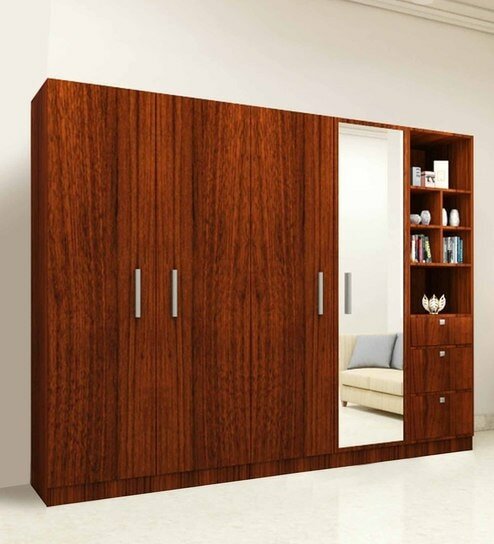 This 5 Door Wardrobe has a big full-length mirror embedded on its door which makes it classy. Maldau Acacia light finish wardrobe is nothing less than a marvel. It’s a 6 door wardrobe including 2 doors completely embedded with 2 full-length mirrors. 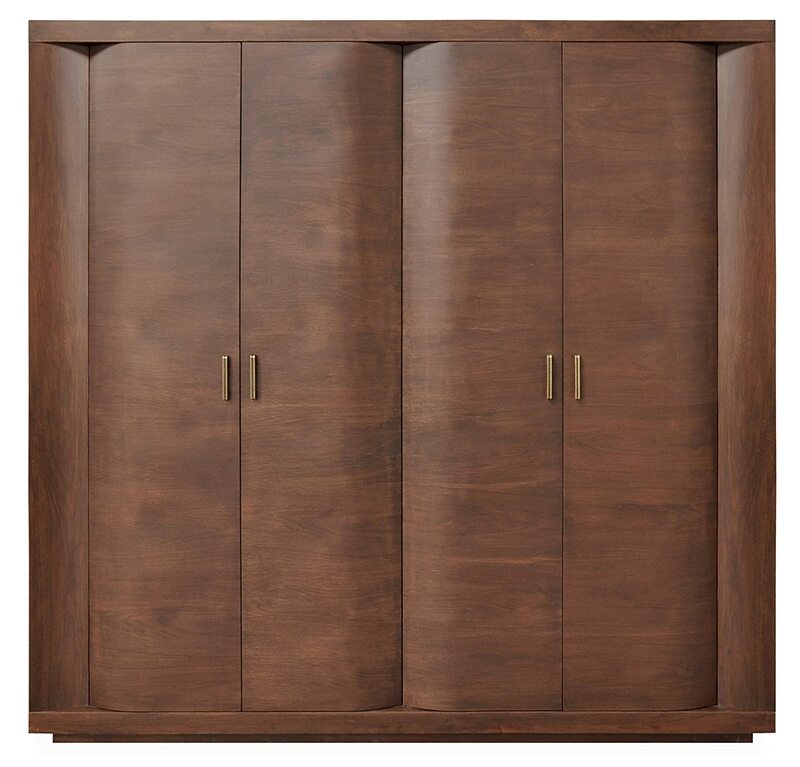 Classic walnut finish 5 Door wardrobe is something you can’t miss to have in your bedroom. A complete full-length mirror with open shelf, drawer, and 5 Doors give extortionate look to it. This wardrobe is perfectly crafted with perfection. It has an embedded dressing table intelligently blended with the wardrobe. This 5 Door wardrobe will give you a feeling of proud whenever you’ll look at it. 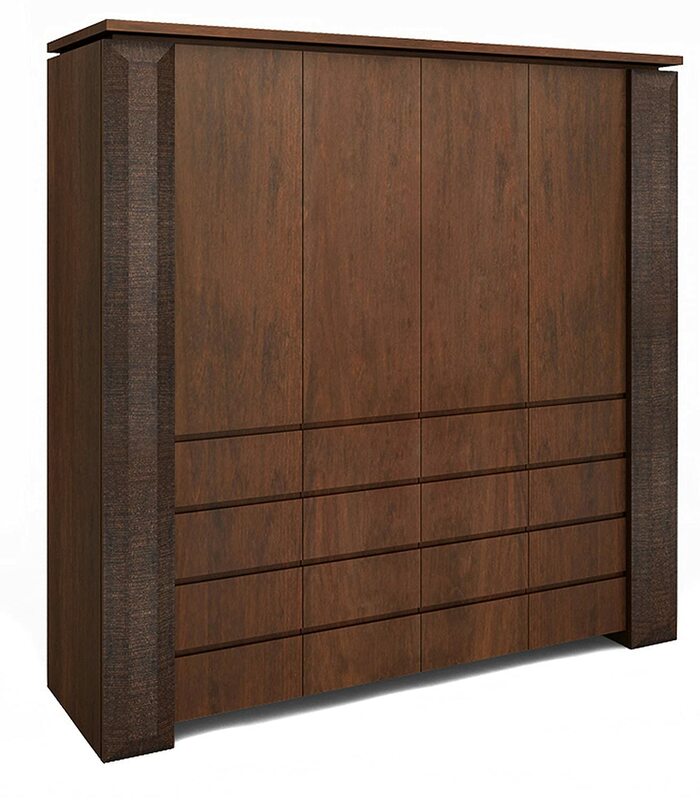 Acacia Dark finish 4 Door Wardrobe is a spacious and beautiful wardrobe for bedroom. This beautiful wardrobe comes with 2 full-length mirrors on its door. This Fesma wardrobe by furniture republic is a pre-assembled piece of art. Made from a solid form of wood it’s quite expensive to own. Braugold wardrobe with a dark brown finish is a masterpiece. With 4 doors and extremely stylish looks, this wardrobe is mandatory for dark furniture lovers. These are few selected extortionate wardrobe for your bedroom which will make you feel a class apart. 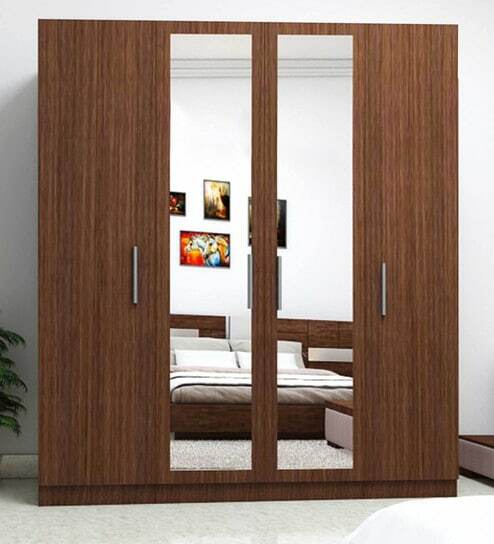 These wardrobes are not much suitable for small rooms or small houses as their length is more than 6 feet in general. Related Article: Buying A Wardrobe Is Worth Spending Money! Know How?